When friends and industrial designers Ian Murchison and Rohan Thakar left their jobs at Research in Motion a few years ago, they wanted to work on projects that had a more organic quality. So the Carleton grads started the Federal, an Ottawa-based studio that makes tactile, nature-friendly products such as sheep’s wool earmuffs and plywood desk lamps. Even their knives have a soft side. 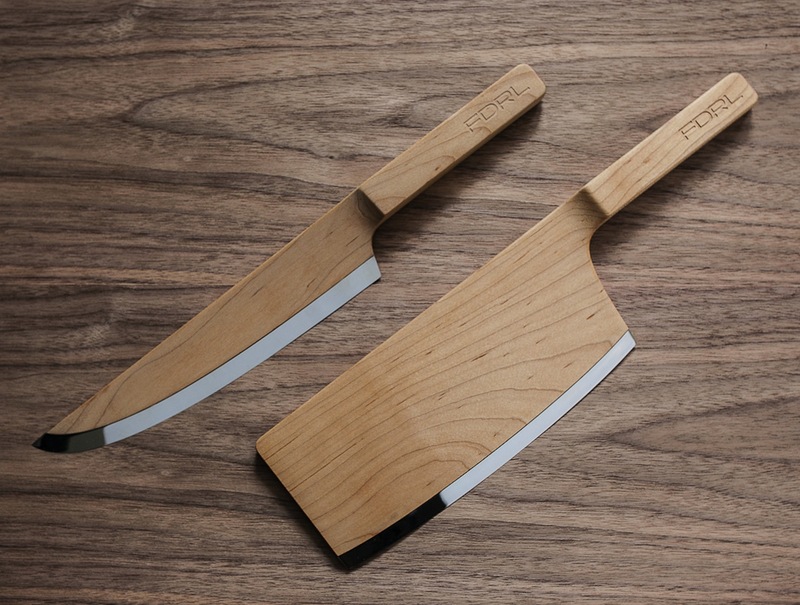 While most tools of butchery have a menacing look, these blades are more aptly described as warm. With the exception of the honed metal edges, they are made entirely of sealed, food-safe Canadian maple – the waving grain of the wood giving them a gentle, painterly effect. Through thefederal.co. This piece originally appeared in the Globe and Mail on Thursday, March 14, 2013. This entry was posted in Design Spy and tagged Decor, Home Decor, Kitchen Tools, Knife Set, RIM, The Federal, The Globe and Mail, Wood by mmhague. Bookmark the permalink.